CPM Student TutorialsCPM eBook SupportStudent: CPM eBooks (Student Version) Trouble ShootingeBook: I Forgot My Password! This article explains how to use the password recovery to regain access to your eBook password in the new eBook Licensing System. 1. Click the "Forgot Password". Use this if you know you have an account. If you do not have an account, click the GREEN button! 2. Enter your email. Click "Send". Check your email. Note: Check your spam or junk folder if an email from CPM doesn't arrive! 4. Type in new password and then again! Click "Confirm." 5. Go to your destination. Enter your username and password. Note: Your username may not be your email address! It is whatever you indicated when you registered! 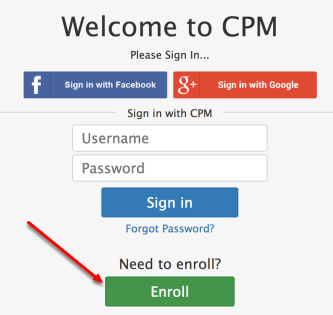 Prev: Student Role: How do You Access a CPM eBook Using an Enrollment Pin?